Is Starbucks' Valentine's Day Cherry Mocha Your New Morning Love Affair? Starbucks releases a drink for practically every important day on the calendar: Eggnog Lattes for Christmas, Cold Foam Cascara Nitro Cold Brews for the first day of summer, and three shots of espresso served inside a commemorative tree stump for Arbor Day. Ok, that last one is fake. 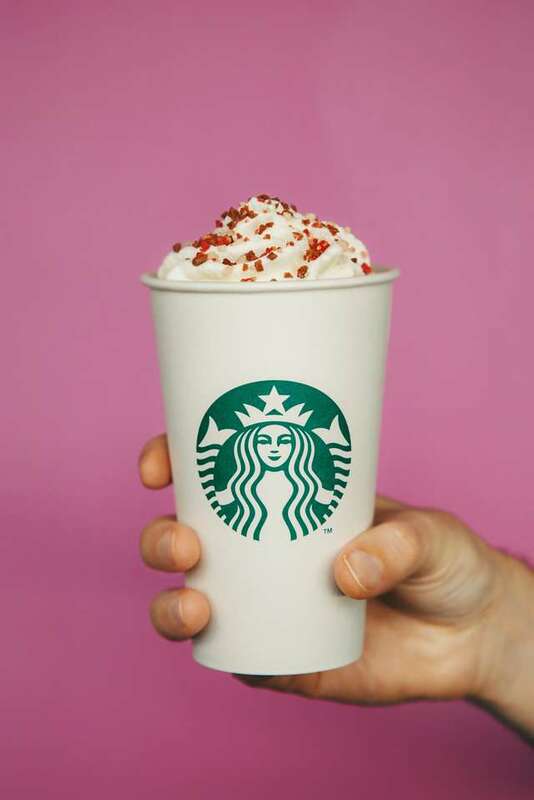 But what’s very real is the return of Starbucks’ Cherry Mocha for Valentine’s Day. But does it merit the love it evokes? We ordered one to find out whether you need to rush to get one before it disappears after Valentine's Day. I want to tell you that there are baristas behind the counter blending fresh cherries hand-dipped into chocolate sauce for each drink, but that’s just not feasible. Here’s what you actually get: three pumps mocha sauce, three pumps cherry syrup, milk and espresso topped with whipped cream and Valentine’s sprinkles (a light dusting of cocoa and sugar). “There’s a lot of cherry flavor in this one,” the barista told me after I ordered. Anytime a barista tells me a Starbucks drink is super flavorful, a lot of sugar typically follows; a grande Cherry Mocha has 54 grams. But Starbucks didn’t make billions by pouring subtle takes on coffeehouse classics, so that’s perfectly acceptable. Plus, it’s Valentine’s Day! This isn’t a day of being healthy, it’s when you eat so much chocolate and candy you get sick and can’t prepare that romantic dinner for two. One sip proved that barista right: If you’re not a huge fan of cherry flavoring, skip this. If you are? Welcome to Cherrytown, Population: Your taste buds. And it’s not just cherry! An equally strong blast of mocha follows to make sure you get serious chocolate-covered cherry vibes. While this drink does have espresso in it, you don’t get much more than a hint of coffee. You’ll have to sip through a layer of whipped cream and sprinkles to get to the cherry and chocolate notes, and it all combines for a fine Valentine’s Day treat. Sure, why not! Order the mocha, pair it with one of Starbucks’ V-Day themed snacks (the heart-covered chocolate Cake Pop looked tempting) and give it to a loved one as a surprise treat. Because Starbucks is all about modifying their drinks to your preference, we’d recommend scaling back to 1-1.5 pumps of cherry syrup; that’ll allow you to taste more of the espresso and mocha, and still offer plenty of cherry notes. Our barista also urged us to sub white chocolate mocha syrup, which also appears to be a solid idea. Whether you’re single or in a committed relationship this Valentine’s Day, drinking the Cherry Mocha is a fitting way to celebrate. At the very least, it helps you pass the time until the limited-time Arbor Day tree stump espresso comes out.